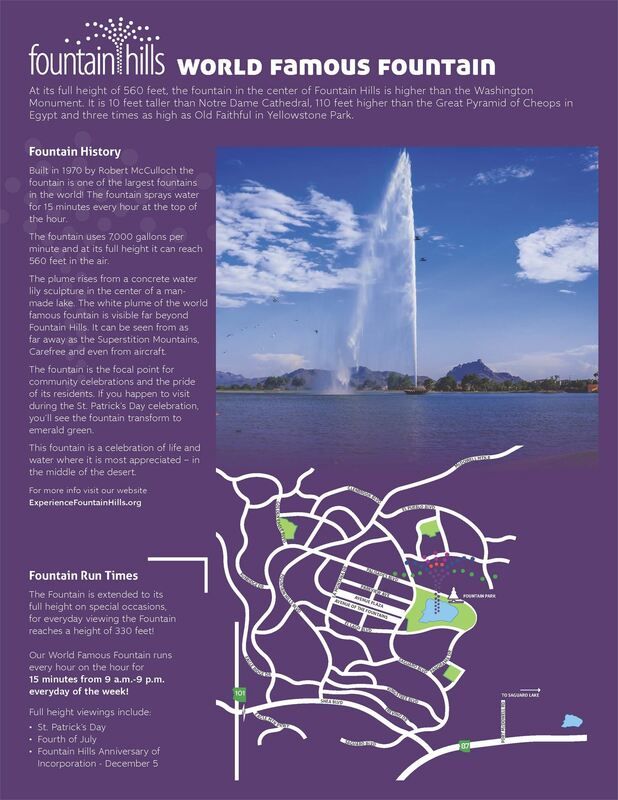 Download any of our free guides to help you plan your next Fountain Hills Experience! 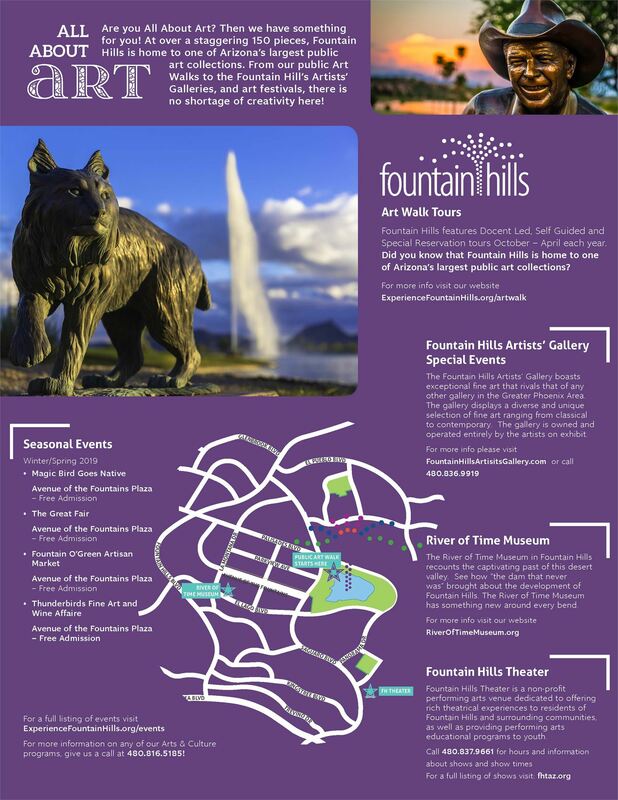 World Famous Fountain Spend a few ours in Fountain Park with our World Famous Geyser centered in Fountain Lake! 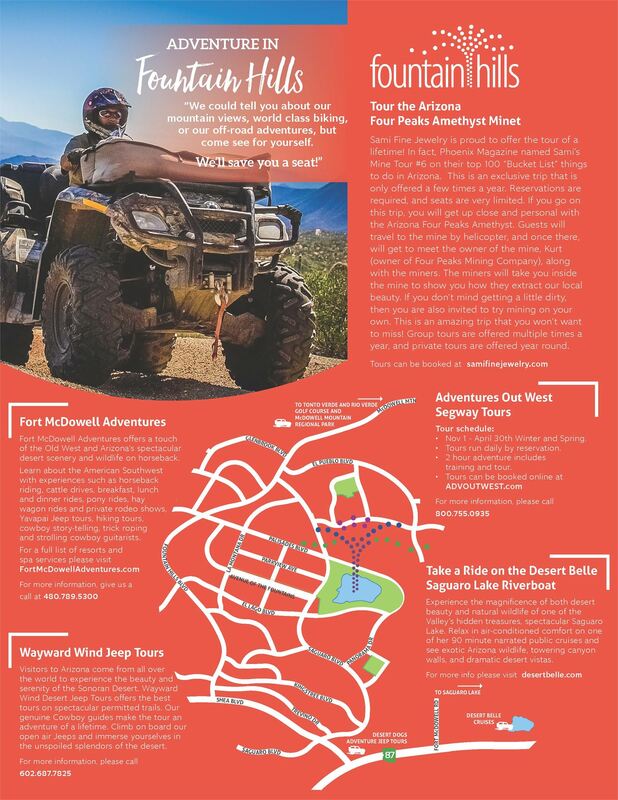 Download the PDF Guide Below. 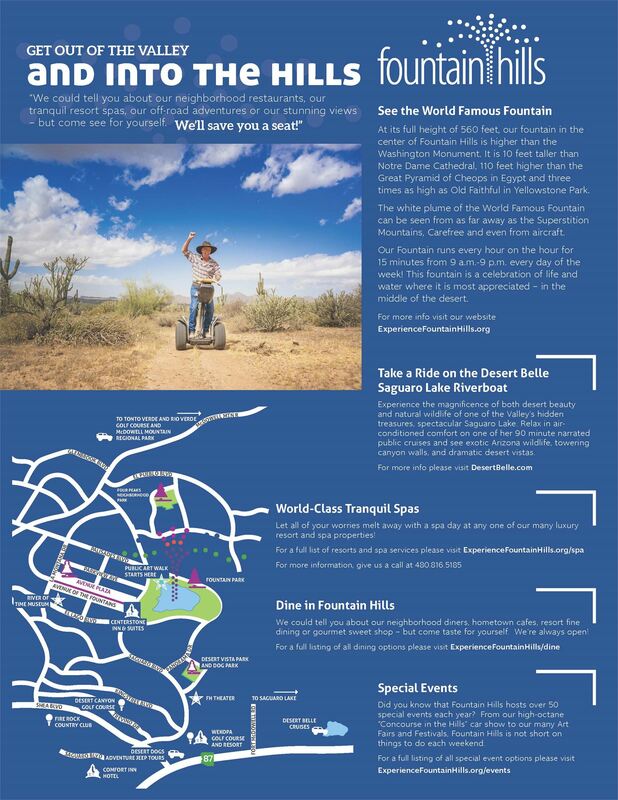 Adventure in Fountain Hills We could tell you about our mountain views, world class biking, or our off-road adventures, but come see for yourself. We'll save you a seat! 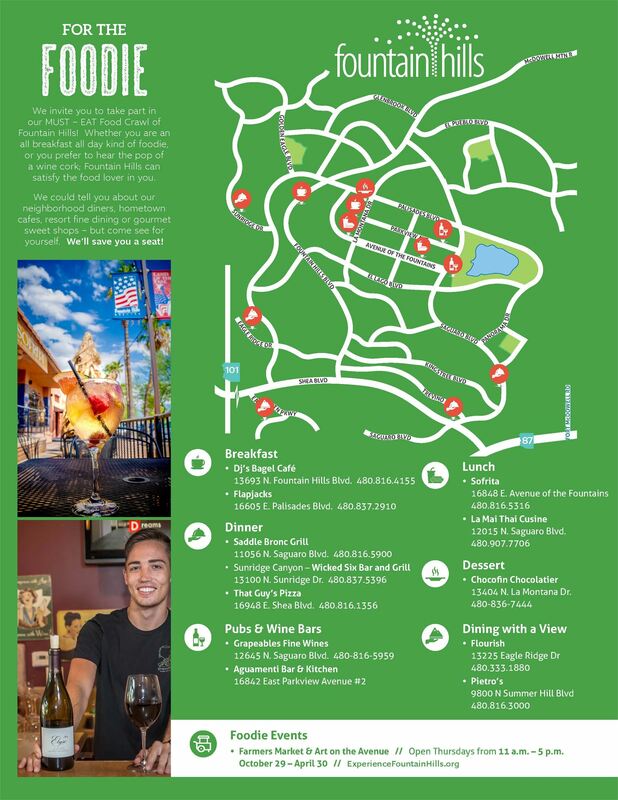 For the Foodie We could tell you about neighborhood diners, hometown cafes, resort fine dining, or gourmet sweet shops, but come see for yourself We'll save you a seat! 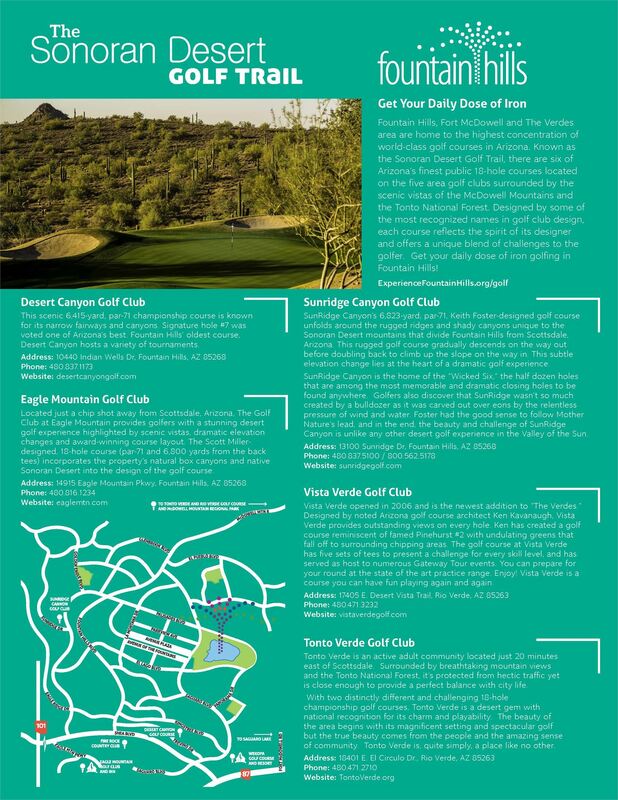 Golfing in Fountain Hills Get your Daily Dose of Iron in Fountain Hills by playing any number of our courses on the Sonoran Golf Trail! tranquil resort spas, our off-road adventures or our stunning views, but come see for yourself. We'll save you a seat.